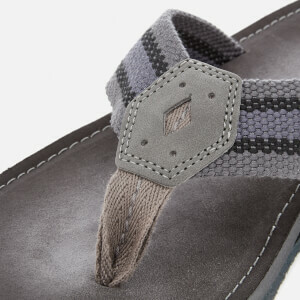 Men's 'Lacono Sun' flip flops from Clarks. 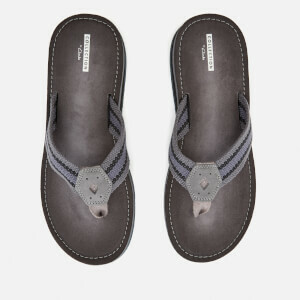 Featuring woven, multi-tonal straps with leather detailing, the toe post sandals are designed with an EVA midsole that is both lightweight and flexible for sublime comfort. Complete with a patterned tread and branding to the footbed.